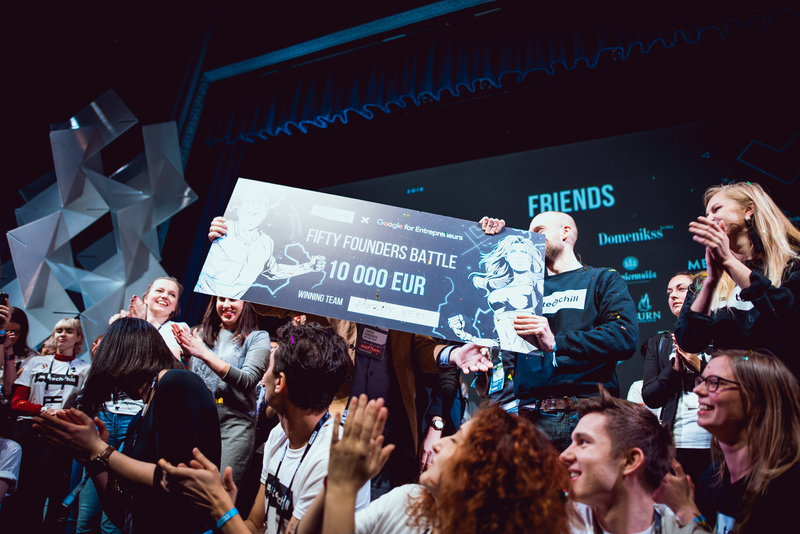 It has already become a tradition for TechChill to host the Fifty Founders battle, the startup pitch competition that showcases the most promising startups from the Baltics, Nordics and beyond. This year teams are competing for the main prize – 10 000 EUR with no strings attached, as well as the fast track to Silicon Vikings Startup World Cup Finals in San Francisco on May 17, 2019. Fifty lucky teams that will pitch their idea at TechChill have been announced. To ensure the most competent on-site jury during the startup pitch competition, this year TechChill divided all 50 competing startups into 5 verticals according to their industry – fintech, deep-tech, software as a service (SaaS), hardware & IoT and social startups (impact). During TechChill Day One, on February 21, the jury will evaluate all fifty startups by their 3-minute pitches on stage. On Day Two, five finalists chosen by the jury, one from each vertical, will pitch on the main stage and compete for the 10 000 EUR. Founders get to pitch their ideas not only to the official jury, but also to international investors, business angels, accelerators, media, and, of course, to the audience of 2000 people. As such, the Fifty Founders battle is a great opportunity for publicity, new international contacts and even for potential partnerships.